Here at Maggs we are for ever thankful to the support we gain from the local people in helping us to feed and support the homeless and vulnerable in Worcester. With all the changes a foot here at Maggs, I thought it may be worth keeping you regularly updated on the best ways to support us. Whilst we are currently still closed for essential maintenance, we are now starting to think about reopening and getting our services back to normal. We are thankful to the support our partner agencies are providing during this time. 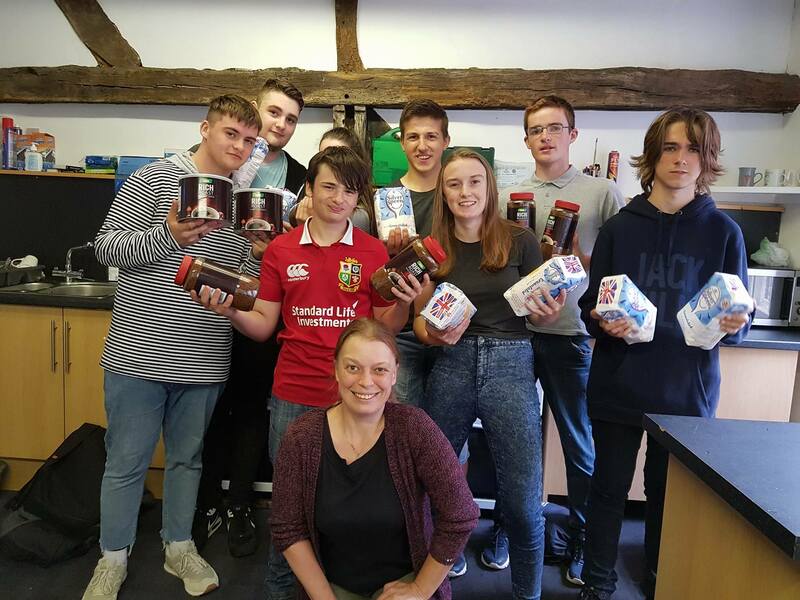 Farrier House Surgery have been able to relocate their drop ins during this period and so our service users will still be able to access these; and Worcestershire Homeless Appeal have been fantastic at sourcing extra supplies to be able to cover the change in catering. Through discussions with staff and volunteers we have decided to put together a monthly wishlist that will be available through our social media outlets. This is just a guide as to the items we are most in need of, and so if you have something off the list please get in touch. In recent months we have had some fantastic donations of items that have provided our service users with one off treats, including most recently some fantastic smoked fish from Macneills Smokehouse. 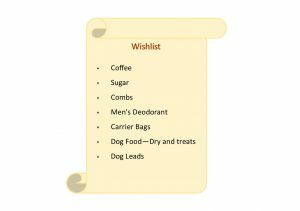 The wish list for September is included below and has a specific feel to it in places, due to the expected temporary change in provision. As many of you will be aware we had to postpone the move of the annexe and clothing project to 59/60 The Tything. So watch this space! But until then we are still open Fridays 9-12 in Sansome Place for both service user collections and donations. Relevant items can be dropped of at either of our sites, during their standard opening hours. However, please remember that our sites are strictly for over 18’s only, if this causes issues and could prevent you supporting us, please get in touch.